Connecting dots between audience and event is what technology helps to achieve in the current date. Unlike pre-mobile and pre-internet era, where the event has less to cater, today it has created more scope on the commercial ground and audience engagement level. These new technologies for Events are more customer-centric and help event planners to get closer to customers like never before. It’s a collective effort of past inventors and present innovators that today we could hold events in such a flamboyant manner. It helped to mold imagination into reality. Watching penguins gliding on ice ridge, animals meandering in the wild, a maiden flight to space, and so on. All these moments can come alive right in front of you through 3D technology. It elicits a virtual world around you that replicates the real world. The experience is very much near and real to the actual world. This technology involves some sophisticated software plus an image that is superimposed on the target surface. 3D projection mapping can project any image alive on stage like landscape, monuments, building, etc. For many theme based parties or events, this technology is quite prominent. It creates a perfect ambiance for your event regardless of where you are organizing an event. Some event organizers are creative in using 3D technology. They make a session interactive and at the same time hides the lacuna of an event. Imagine a party that hosted in some deserted area, where the host demanded to appear as it is in the middle of some lush green Alyssum. This is when 3D technology comes handy. The event organizer mixes and matches lights with 3D projection in such a way that it creates an illusion similar to a lush green Alyssum. The motive is accomplished. 3D printing application for events was questioned during its initial induction. However, with innovation in technology, it has managed to retain the place in Event Industry. You can use this technology in various ways for events like decorating an event using 3D printed centerpiece or arranging a 3D photography session in the event, where invitees can capture their 3D pictures and post them on social media.Doesn’t that make your event popular? The VR and AR technology can augment the experience of an Event. The attendees could feel literally that the event is hosted especially for them.Some VR technologies you might be familiar with are Samsung Gear VR, Google Cardboard, and Oculus Rift.This technology will give a personalized feeling to event attendees. It will allow them to filter the distraction around them and focus on the event or exhibition, something like watching movies in the theater. The not only event but attendees can interact with speakers, exhibitors and sponsors on one to one basis.Even for the exhibitor, product demonstration becomes easy with VR technology. They don’t have to hustle for a space to accommodate their utilities as such everything on set will be virtual.VR technology is a viable solution for events having smaller budget targeting a bigger audience. “Live stage telepresence” is what hologram technology quotes itself. This technology is quite captivating, the 3D videos are merged with the physical object or stage background to make it more exciting.In this technology, a theme based live video or animation runs in the background of the presenter which keeps an audience engaged without plummeting them to boredom. It gives room to presenters to pitch their ideas with less brief and at the same time connects with audience instantly. Live streaming on social media is a sure way to grab attention worldwide, and with the introduction of VR/AR technology, it becomes even more exciting and intriguing. It is speculated that in coming years, the physical presence of attendees in an event will fall down with the rise of AR/VR technology.This can’t be completely ignored, but it is too early to predict, as such VR technology in itself is at a growing stage. The periscope is rolled back from our childhood memories, but this one is more advanced in its operation. However, the idea remains the same giving a glimpse of entertaining moments. This ‘periscope’ is a mobile app that enables you to “go live” via your mobile device anytime and anywhere. With periscope, you become your own broadcasting station. You can stream audio and video of events to whoever joins the broadcast. You can append pictures from the previous event on a single frame and use it as a teaser to promote your current event. You can also connect periscope to your twitter handle. With the help of self-service check-in kiosks, event planners can register users on the go. An event planner can save 90% of the time usually spent after registering the users. This self-service check-in kiosks enable visitors to check in, pay, and even create and print their own name badges. Event app can give complete control over the event. The app helps attendees to participate in various event activities like Rating and Reviews, Live polling and surveys, direct messages to event planners, etc. Besides these event planners can create group forum for attendees to connect with shared interests.The app can be integrated with multi-level maps and way finders to help attendees to find ways to various event sessions. It can also work as a single access point with details of all the exhibitors with logos, company description, and their contact information. Needless to mention, gaming works like a magnet to pull any group age to an event. Any gamification module introduced in the event will drive audience engagement level. You can mount multiple video screen in the event with gaming option, besides that you can also include qualifying steps in the main program of an event like checking in, finding the seat, picking up info materials and answering feedback polls. It’s just a beginning of virtual imagination taking shape into reality. 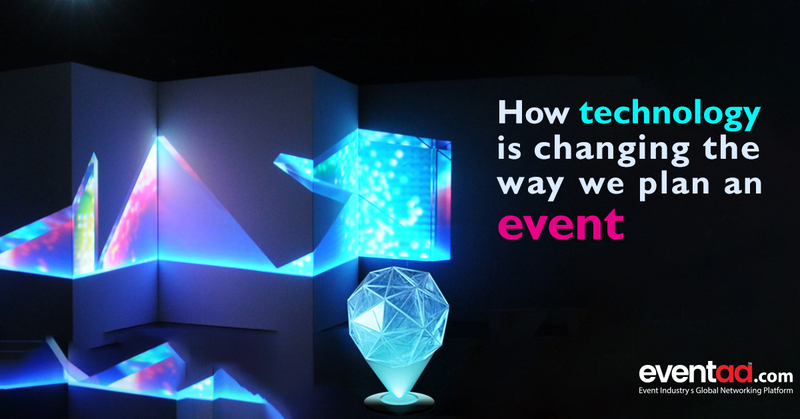 There are many other avenues yet to explore that will change the way we hold the event.